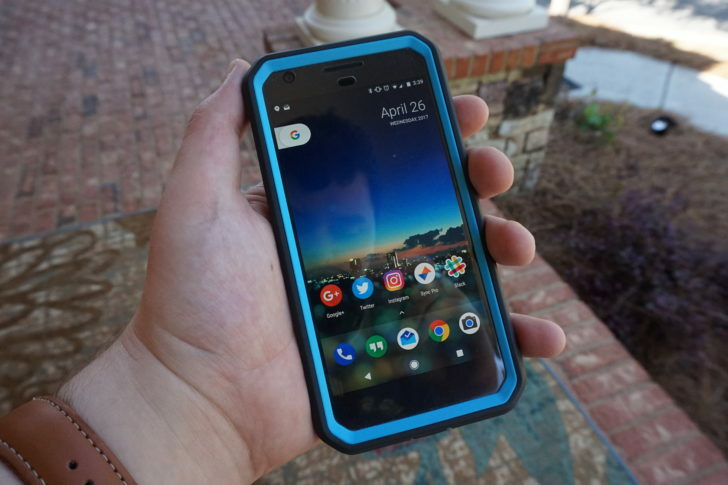 You may recall Android Police's long-running 'What We Use' series, where the fantastic people that work here share the tech (and sometimes non-tech) products they use on a frequent basis. I haven't actually written one of these posts yet - simply because I only joined AP last year. 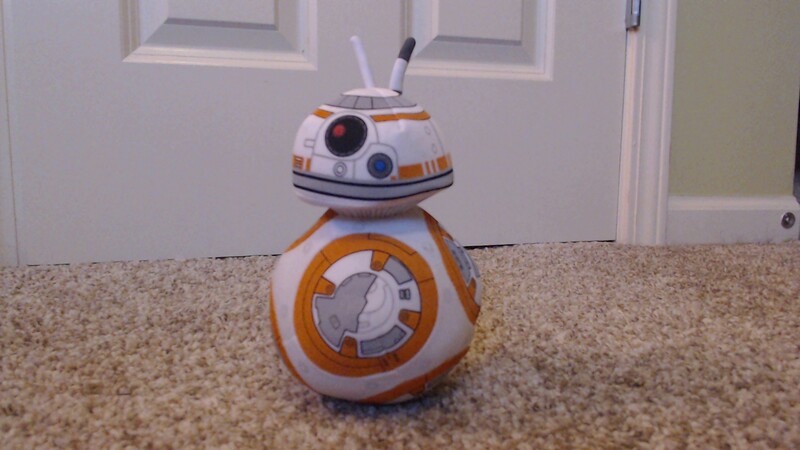 I've had a fascination with technology as long as I can remember, but my arsenal of toys is constantly changing. So without further ado, this is what I use. You may recall from my introduction post that I was using a Nexus 5X. At the time, it was definitely the best phone I had ever used. The build quality was decent, but it was more than fast enough for my needs, the front-facing speakers were fantastic, and the camera was amazing. But all good things come to an end, and my 5X suffered the famous bootlooping bug that so many other 5X owners have experienced. Being on Project Fi, and not really wanting to switch, I coughed up the money for a 32GB 5" Pixel. And while it has certainly been a great device and I would definitely recommend it to anyone looking for a fantastic Android phone, I still think it's overpriced. For those interested, I'm using the Unicorn Beetle Pro case. 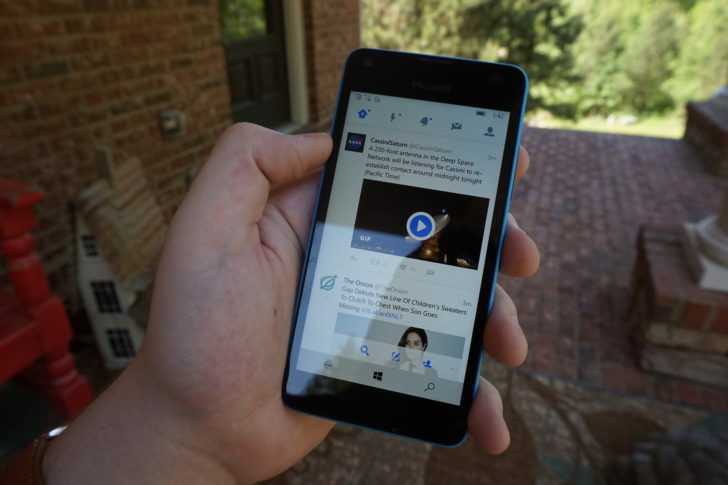 In addition to the Pixel, I also own a Microsoft Lumia 550 running Windows 10 Mobile. I bought it a few months before my 5X died (mostly to play around with Windows 10 Mobile), and it ended up being my daily driver for roughly two weeks while I waited for my Pixel to ship. The lack of any Google services - especially Hangouts - means I can't really use it in place of an Android phone. But it does work just fine as a backup two-factor authentication device. 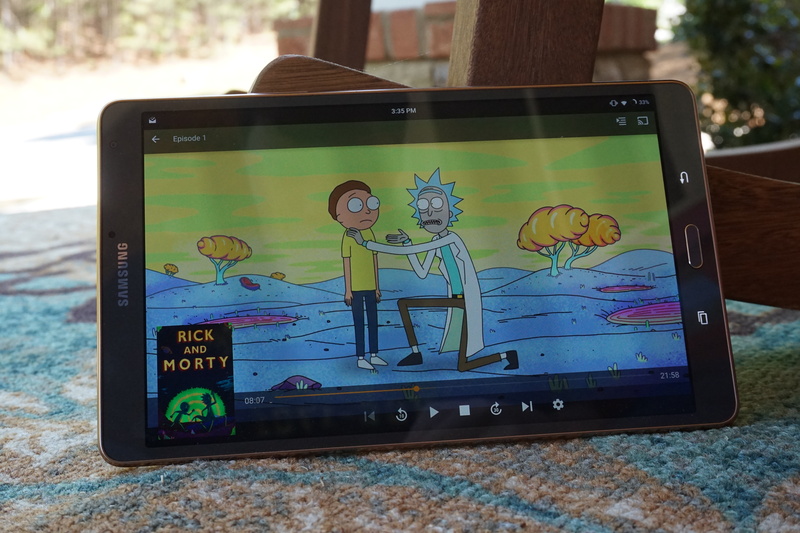 Most mainstream Android tablets hover around 9-10 inches, such as the Pixel C, the Tab S3, and the ASUS ZenPad I reviewed a while back. But I prefer 8.0-8.5" tablets, leaving me with few options that weren't outdated. Currently, I'm using a Samsung Galaxy Tab S 8.4, and it's pretty great for what I need. Samsung has yet to update this to Nougat (and it will probably be a while), so I flashed LineageOS 14.1 on it. The Exynos 5420 processor does slow down occasionally, usually while multi-tasking or trying to play 1080p YouTube videos, but it's still plenty fast for most tasks. The Google Play Movies and Netflix apps don't play video at HD though - I assume because of some DRM restriction with Lineage. My current desktop computer is my first custom-built PC, named 'Enterprise' (I name all of my computers after ships from Star Trek). 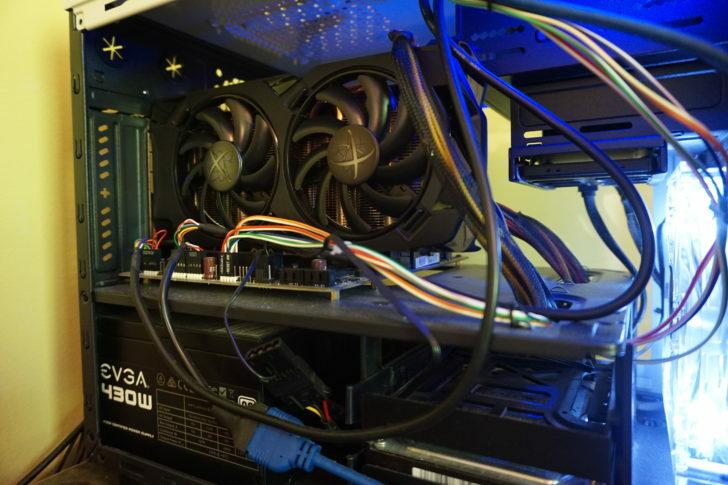 It has an AMD Athlon X4 860k processor, Gigabyte GA-F2A68HM-H MicroATX motherboard, 420W EVGA power supply, and 16GB of RAM. I've recently upgraded my graphics card to an XFX Radeon RX 470. For storage, I have a 256GB boot SSD and a 1TB hard drive for storing games and backups. As for the rest of my setup, I'm using a simple Dell USB keyboard with a Logitech G402 mouse. The keyboard is pretty nice, despite the low cost, and the mouse is quite comfortable. I've just replaced my previous dual-monitor setup (consisting of an old 1080p display and an ancient VGA monitor) with a Dell U2913WM ultra-wide panel, which has been fantastic so far. Seriously, playing games at ultrawide is amazing. 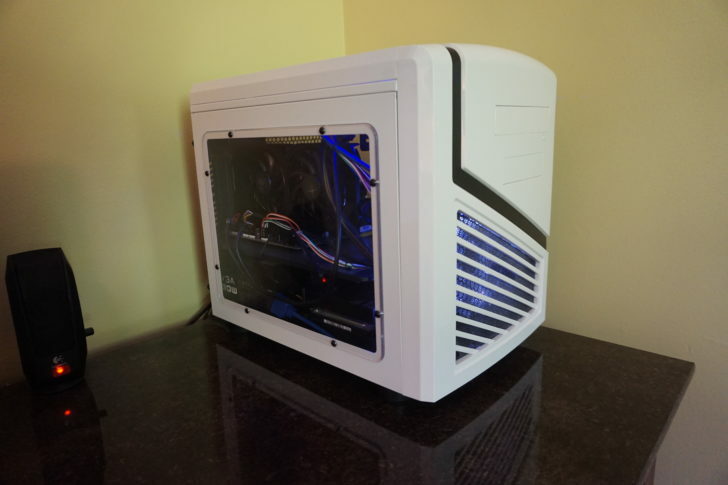 Since originally building it last year, I've swapped out the original case for the APEVIA X-QBER White enclosure, seen in the above picture. I'm not a fan of the windows, but I love that the case can flip open for easy access. Before I decided to build my first computer (the PC in the last section), I had a Surface Pro 2 as my workstation. The concept of having one device to serve as my tablet, laptop, and desktop PC seemed great. I didn't even mind that it was a bit heavy - but I did mind the battery life. I'm not sure if it was Windows, the battery capacity, or the fact that I bought it used, but the Pro 2 would barely last a few hours on most days. 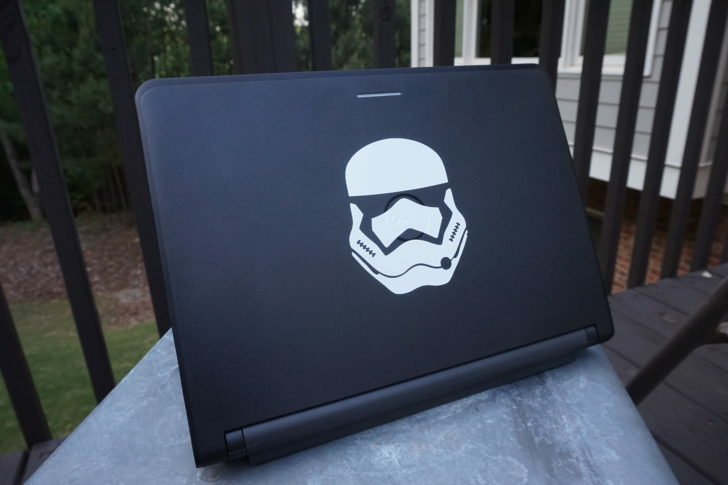 I sold the Surface less than a year after I initially bought it, and decided to go with a normal boring laptop. My priorities were battery life, the ability to be upgraded, and durability - things my Surface Pro weren't very good at. 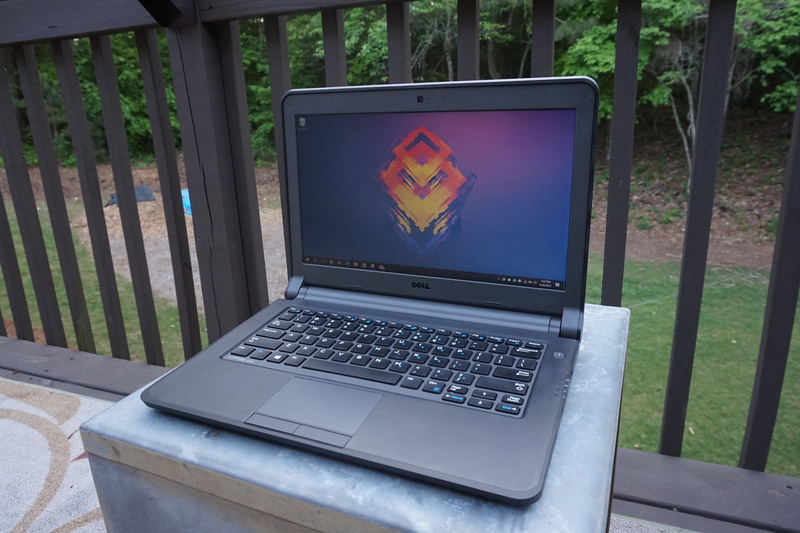 I eventually stumbled upon a Dell Latitude 3340 for $200 on eBay, with a 13.3" 1366x768 display and a Core i5-4200U. 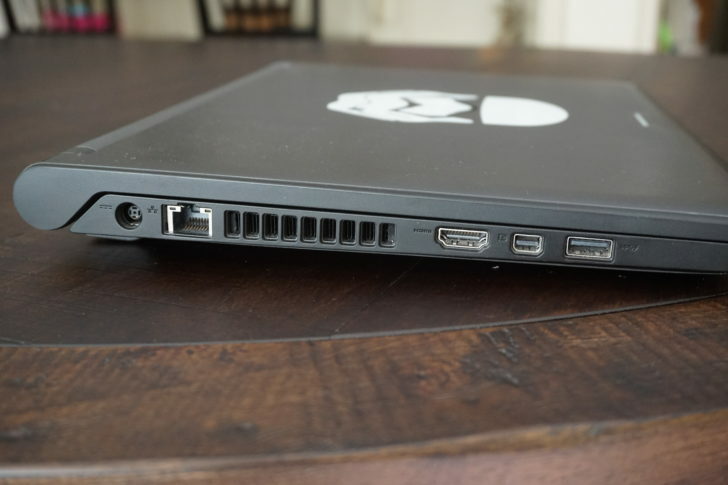 Being a laptop designed for use in schools, it was pretty durable and almost every component could be replaced. I bought it, and spent another $100 swapping out the hard drive for a Samsung Evo 850 SSD and upgrading the RAM to 12GB. I also put a Stormtrooper decal on the back, because every laptop needs stickers. In short, I'm pretty happy with it. The laptop isn't thin by any means, but the battery life is solid and it's plenty fast for my needs. And after I replaced the spinning hard disk with an SSD, it has become dead silent (except during intense workloads). The resolution isn't great, but that's really my only complaint. 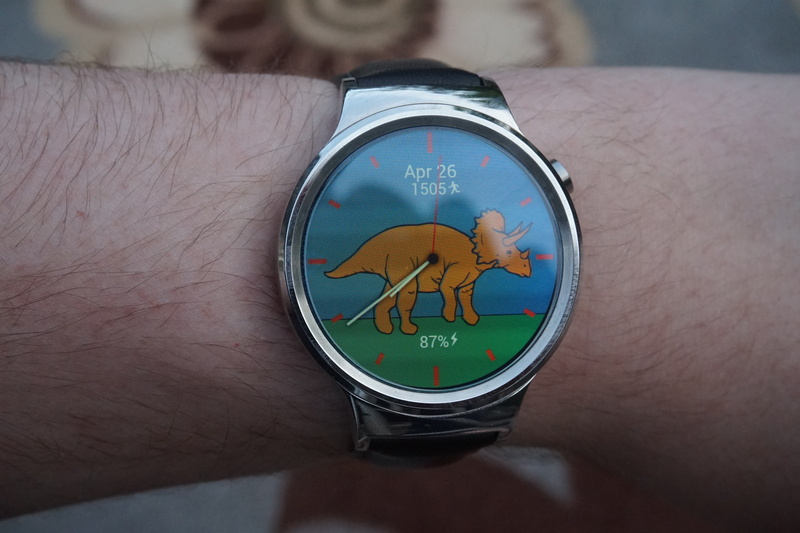 Unlike some of the other writers here at Android Police, I still like the idea of smartwatches. 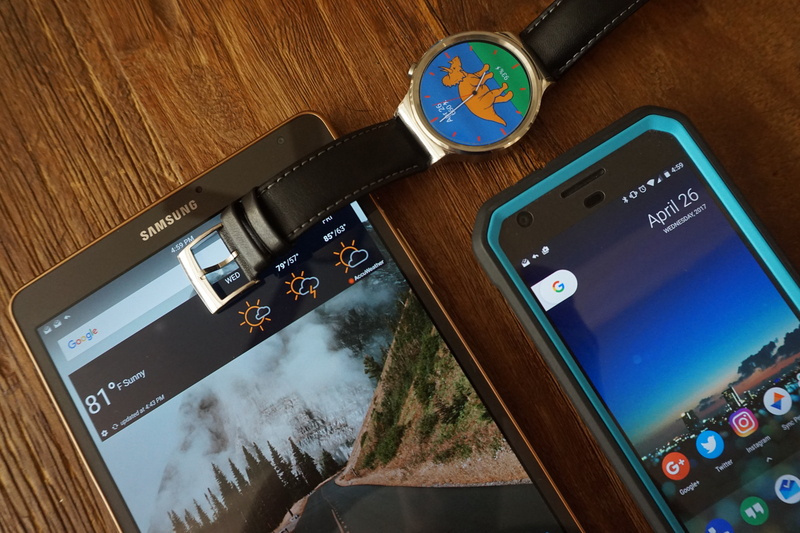 I was an early adopter of Android Wear, and I loved diving into the underlying Android system. I bought a refurbished Huawei Watch a few months ago to replace my original LG G Watch. I also own a first-gen Moto 360, which has unfortunately stopped working, and a Gear Live that needs a new watchband. Besides being a little thicker than I would like, the Huawei Watch is definitely a great device. I don't really care that it's missing NFC or LTE, but I wouldn't mind the digital crown that some of the newer Android Wear watches have. I know as much about cameras as I do cars - that is to say, not very much. Until I started working for AP, I had only used smartphones and sub-$50 digital cameras to take photos. So I consulted David to help pick a new camera, and I ended up with the Sony Alpha a5000. I've only had this camera for about a week, so I can't say much about it yet. It takes pictures. The a5000's Wi-Fi and NFC connectivity is especially cool - I can tap the camera to my Pixel and instantly transfer photos (which are then backed up to Google Photos). The Wi-Fi connectivity also allows me to remotely take photos with my phone as the viewfinder. I've used this several times already to take pictures of birds flying up to a nearby bird feeder. 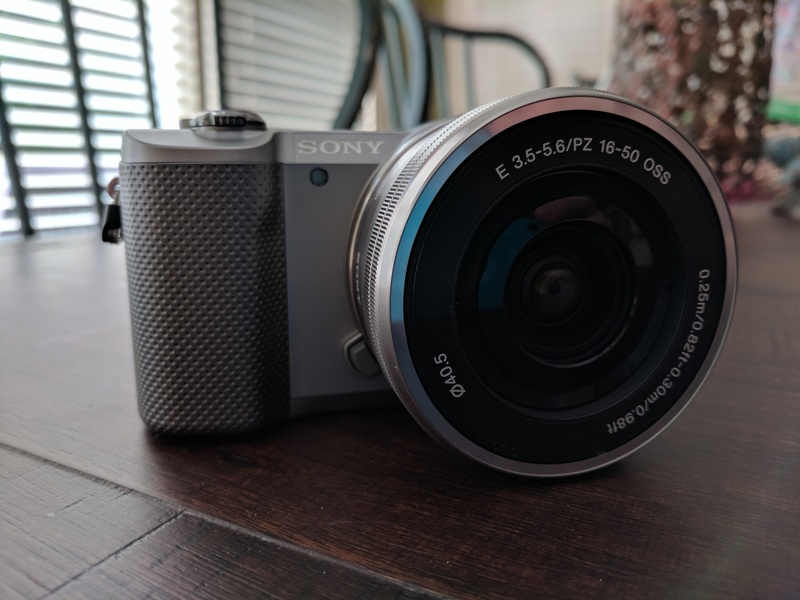 All of the photos in this post (except the picture of the camera) were taken on the a5000, so feel free to rage about my lack of photography skills leave constructive feedback in the comment section. I initially bought a Google Home shortly after it was released, to replace an old set of iPod speakers I was using with a Chromecast Audio. I primarily use the Home as a wireless speaker, and it's pretty good at that. I don't really care for most smart home products, but I did buy two WeMo Smart Plugs on sale so I could control two lamps in my room. Initially, these only worked through Google Assistant's IFTTT integration, but Google added native support for WeMo products a few months ago. 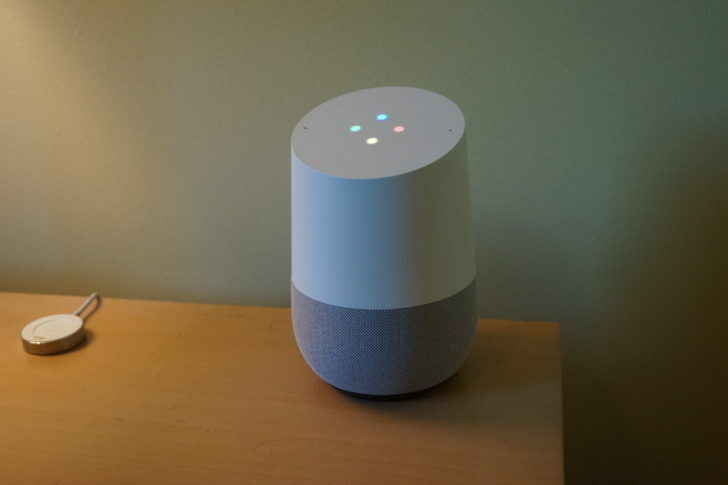 I'll admit, the Google Home still seems half-baked. Most of my complaints about it from January are still valid, especially not being able to set reminders. I used the shopping list feature quite a bit, but Google basically ruined that. I've been on the Android Police podcast for a while now, on a somewhat-infrequent basis (usually due to technical issues). My $11 headset I use for games wasn't really going to cut it, so I bought the Blue Snowball iCE condenser microphone. Overall, I'm pretty happy with it for the price. The quality is very good and it's fairly portable. 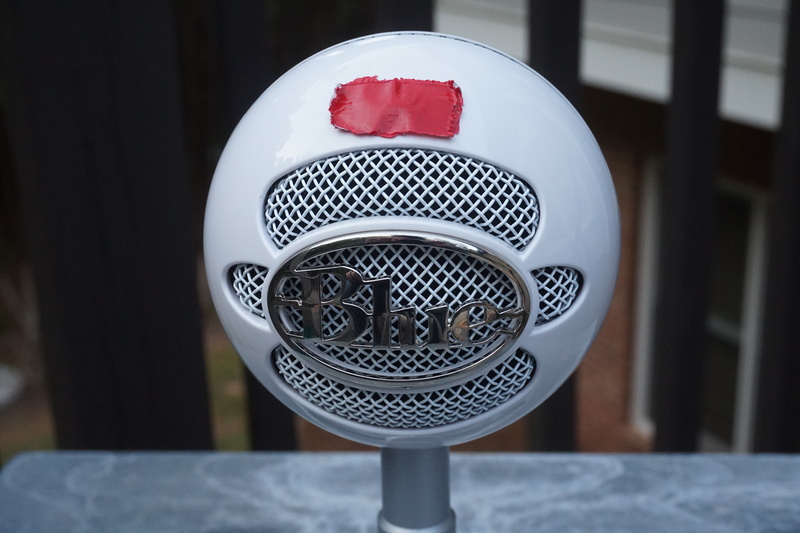 However, the microphone does occasionally disappear from Windows (I'm pretty sure that's Windows' fault), and the red light on the front is rather bright. As you can see in the above picture, I covered that up with some duct tape. 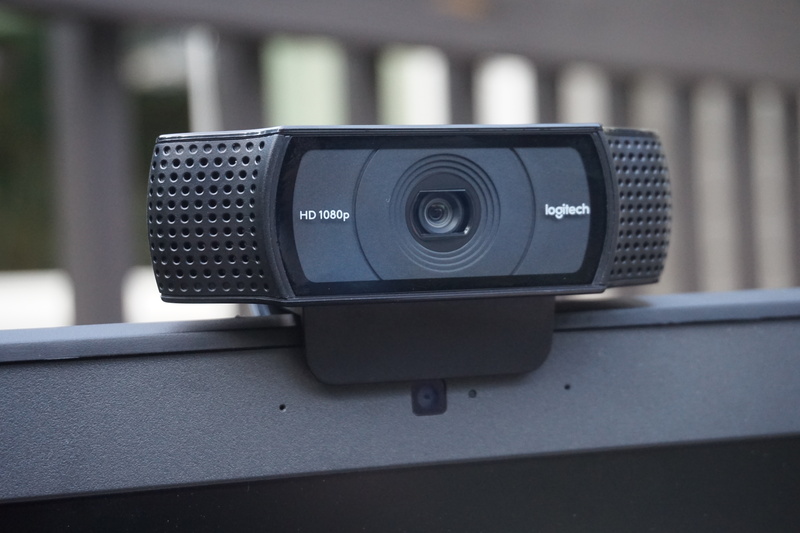 Another item I bought primarily for the AP Podcast was a webcam - Logitech's HD Pro C920 camera. In most cases, video calling is limited to 720p, but it can record and take photos at 1080p. Supposedly it works at 1080p with Skype for Windows, but I haven't tested that. Sample shot with the HD Pro C920. I don't really have any complaints about this webcam. It does webcam things. I have a ton of electronics that charge over USB. So a few months ago, I tried to become a bit more organized and replace my mess of charging adapters and cables with a single dock. 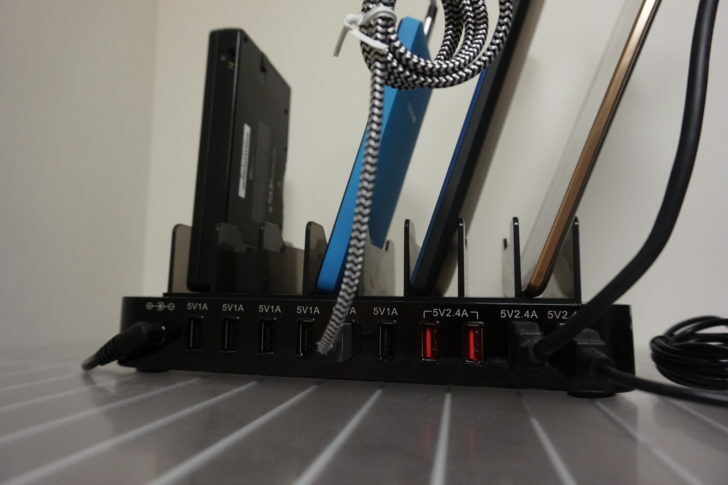 After looking at a few on Amazon, I settled on iKit's 10-port charging dock. And it's seriously awesome. As you can see in the above picture, it has six normal 5V1A ports and four 5V2.4A ports. With this, I can charge my tablet, phones, camera, and even my Nintendo DSi and 3DS (with this cable). The primary advantage is that the dock only needs one two-prong outlet, so you don't have to use separate wall adapters for every single device. If you have a bunch of products that charge over USB, I definitely recommend this (or another dock like it). Most of the apps and programs I use on a daily basis are pretty popular. Chrome for browsing the web, Google Photos for image backups, Photoshop CS6 for photo editing, etc. That being said, there are a few apps/programs I use that you may not have heard of. 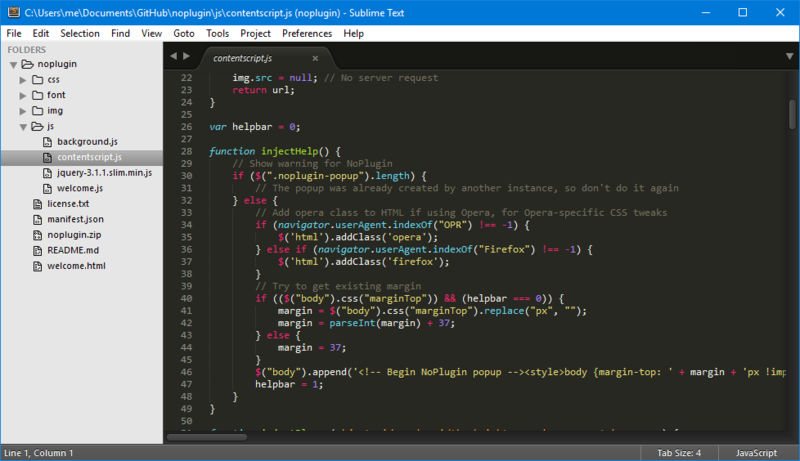 Sublime Text has been my main text editor for a few years now. Unlike Atom Editor and Visual Studio Code, it doesn't run inside a web shell, but still has plenty of plugins and themes. It supports auto-complete and syntax highlighting for dozens of languages, so it's pretty versatile. I primarily use it when I'm working on Chrome extensions and Python scripts, and I don't think I've ever had a single problem. You can buy it for $70 from Sublime's site - the license works across platforms. This is a pretty cool utility for Android, available on the Play Store for free (with a pro version available). 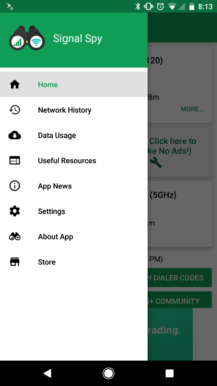 It gives you information about the carrier you are connected to, including the band being used and your signal strength. It also provides data about your Wi-Fi connection. 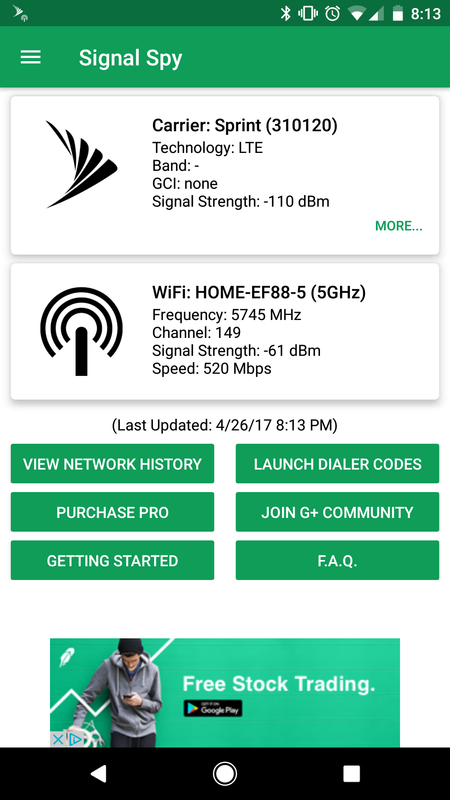 If you're on Project Fi, as I am, Signal Spy has some extra functionality. 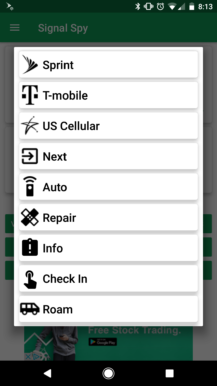 As you may know, Project Fi switches between T-Mobile/US Cellular/Sprint based on who has the best signal. Occasionally, the switching algorithm doesn't work and leaves you with a poor connection. 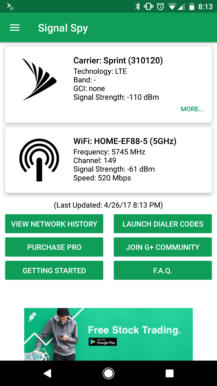 With Signal Spy, you can easily force a connection to a specific carrier (or re-enable auto switching). There are a few PC games that I use a controller for, such as Grand Theft Auto V. I actually prefer Sony's DualShock 4 controller over the Xbox 360 or Xbox One controllers, but very few PC games natively support the DS4. That's where InputMapper comes in. 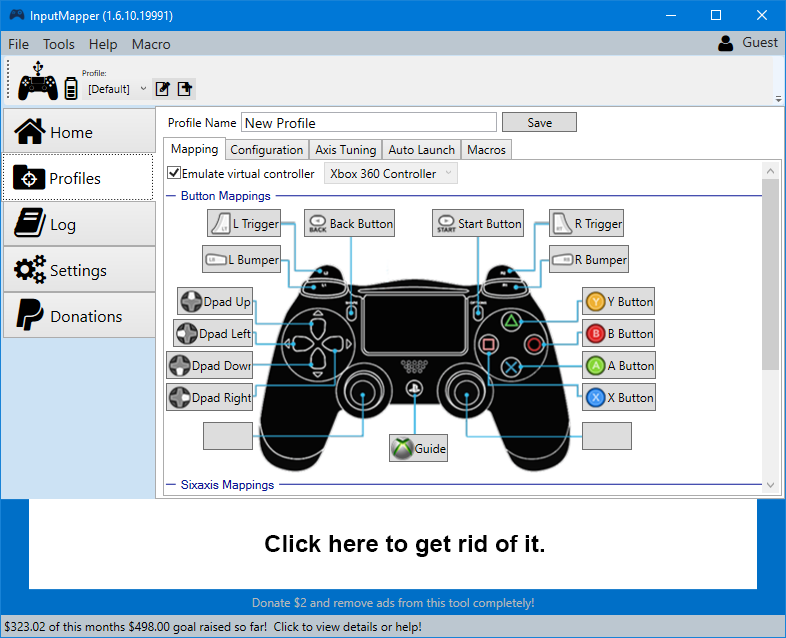 InputMapper is a small free utility that allows you to use a DualShock 4 controller with any game that supports Xbox controllers. It does this by emulating an Xinput device, and all the input from the DS4 is sent to the emulated controller. There is no loss in functionality, and you can use a DS4 over Bluetooth or USB. You can even remap buttons, as seen in the above screenshot. Lastly, I wanted to include a few Chrome extensions that I have found extremely useful. Some of these are available on other browsers too. HTTPS Everywhere: This is an extension developed by the EFF that forces HTTPS on sites known to support it. Keepa: This adds a price history chart to Amazon listings. Privacy Badger: This is another extension from the EFF, which tries to block trackers online. Sometimes it can break certain sites, so if a web page won't work right for some reason, you probably need to turn this extension off. Peek: If you hover over a link to a file (or Google Doc), it will show a preview of it. It supports videos, audio files, PDFs, Office documents, and more. Full disclosure - I developed this one, but I think it's pretty darn useful. Save Image as PNG: This adds a 'Save image as PNG' item to the right-click menu. Pretty simple. Toolbox for Google Play Store: This adds a few cool features to the Play Store web site, like a button on app listings to see APKs on APKMirror. It's actually developed by Android Police! Wow, this post was long. If you have any questions about the hardware or software in this list, feel free to ask me in the comments below.